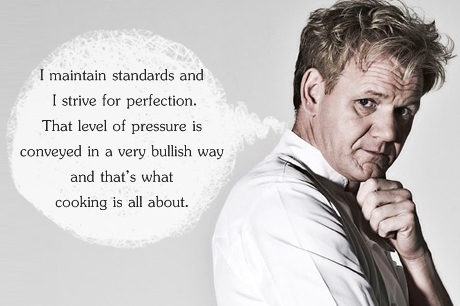 See the gallery for quotes by Gordon Ramsay. You can to use those 8 images of quotes as a desktop wallpapers. 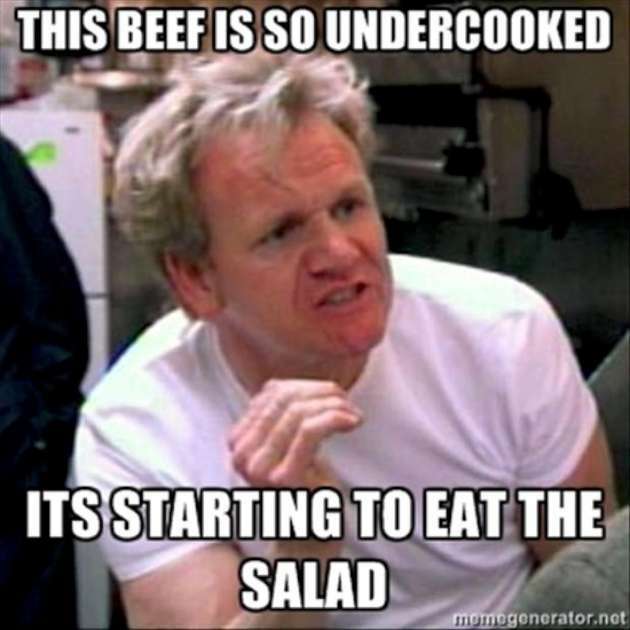 I am a chef who happens to appear on the telly, that's it. I came up from a difficult background. I didn't get depressed, I don't get depressed. I don't run restaurants that are out of control. We are about establishing phenomenal footholdings with talent. I grew up in a funny way. I hid myself in food. I mean, families are weird. I shoot from the hip. I swim like a fish and I have an amazing kick. I want my kids to see me as Dad, for God's sake, not a television personality. I was a naturally aggressive left-back, a cut-throat tackler. 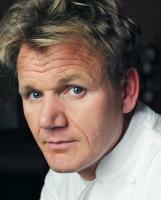 I'm Gordon Ramsay, for goodness sake: people know I'm volatile. I'm not critic-proof, and I still take it personally, but I take it less personally now. I'm not trying to take New York by storm. I just want to sneak in there, keep my head down, batten down the hatches and cook. I've never been a hands-on dad. I'm not ashamed to admit it, but you can't run a restaurant and be home for tea at 4:30 and bath and change nappies. It's vulgar, coming from where I do, to talk about money. My father was a swim teacher. We used to swim before school, swim after school. No one saw the recession coming. The problem with Yanks is they are wimps. 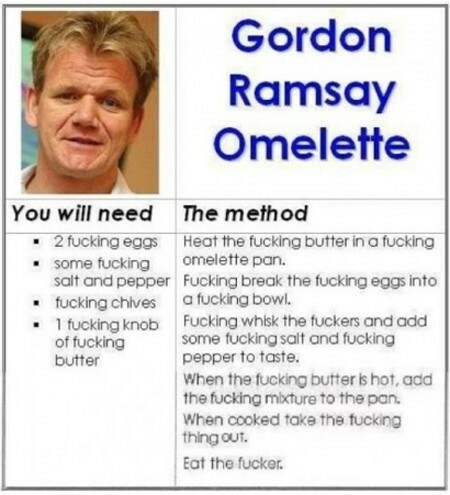 Much more quotes by Gordon Ramsay below the page. There is a level of snobbery and fickleness in L.A. They say cats have nine lives. I've had 12 already and I don't know how many more I'll have. When you find a guy who is powerful, a big father figure, you latch onto him immediately. You know how arrogant the French are - extraordinary. 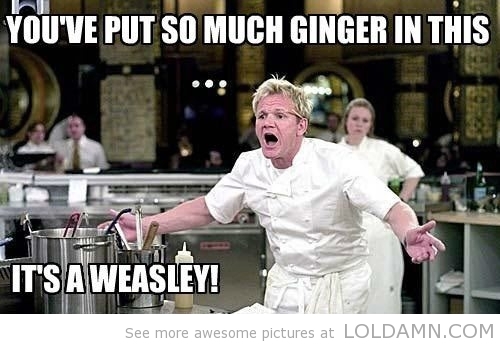 I train my chefs completely different to anyone else. My young girls and guys, when they come to the kitchen, the first thing they get is a blindfold. They get blindfolded and they get sat down at the chef's table... 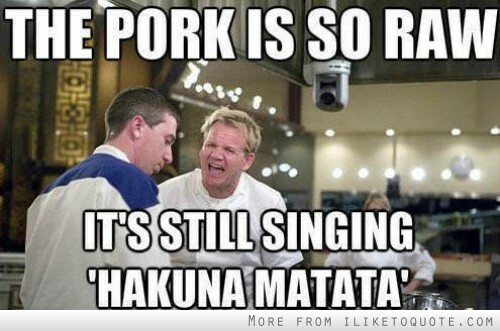 Unless they can identify what they're tasting, they don't get to cook it. It's very hard when you eat out every day for a living, and a new restaurant comes along and you haven't got that same vigour that you had 10 years ago. 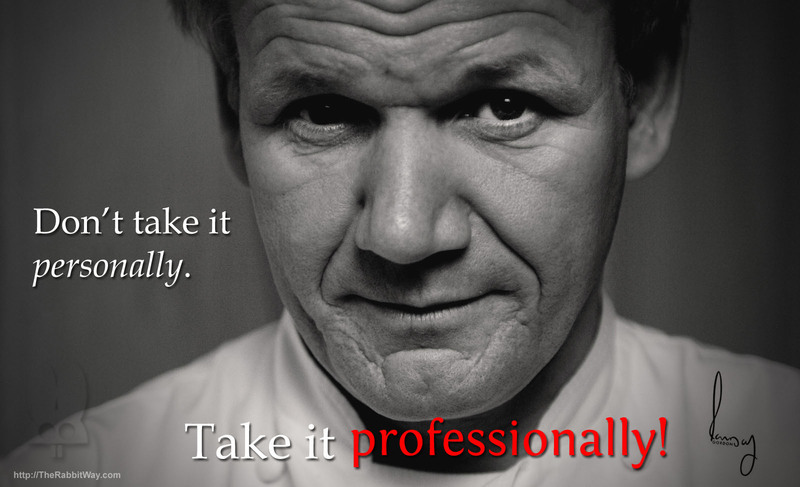 I think every chef, not just in America, but across the world, has a double-edged sword - two jackets, one that's driven, a self-confessed perfectionist, thoroughbred, hate incompetence and switch off the stove, take off the jacket and become a family man. I don't think it's a good advert for any restaurant, a fat chef, and secondly, who wants to eat a dessert when the chef's a fat pig. Swearing is industry language. For as long as we're alive it's not going to change. You've got to be boisterous to get results. I act on impulse and I go with my instincts. 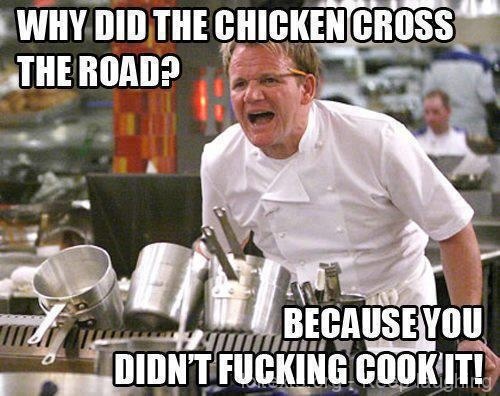 Chefs are nutters. They're all self-obsessed, delicate, dainty, insecure little souls and absolute psychopaths. Every last one of them. Kitchens are hard environments and they form incredibly strong characters. I'd like to think I'm a great teacher. When you're a chef, you graze. You never get a chance to sit down and eat. They don't actually sit down and eat before you cook. So when I finish work, the first thing I'll do, and especially when I'm in New York, I'll go for a run. And I'll run 10 or 15k on my - and I run to gain my appetite. I suppose your security is your success and your key to success is your fine palate. If I relaxed, if I took my foot off the gas, I would probably die. We are about creating a new wave of talent. We are the Manchester United of kitchens now. Am I playing full-time in the kitchen? I am a player-coach. If I can give you one strong piece of advice, when you go away for that romantic weekend, whatever you do, do not accept or take the upgrade to the honeymoon suite. My wife, a schoolteacher, very disciplined. If you think I'm tough, trust me, and wait till you see when the children are on the naughty step. It's hilarious. So we decided that I'm going to work like a donkey and provide amazing support for the family.